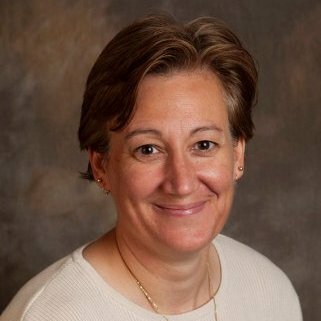 Linda is the first Operations Director for the office, a member of the senior leadership team, and and a Registered Technology Transfer Professional (RTTP™). She is responsible for assisting the Executive Director and team leaders in all operational activities. Key activities include business process, data analysis, financial, marketing & social media, and information technology. She also manages a group of outside contractors and 3-5 undergraduate students that support marketing and communications efforts through research, writing, graphic design, and video. Linda is an active member of the Association of University Technology Managers (AUTM), volunteering with website and program committees. I am the first Operations Director in the office and have been here for ten years now. I am generally a project manager with responsibilities in a range of areas from information technology, to marketing and social media, to data analysis and reporting. I liaise with the IT group in Office of Research Administration, I’m typically the first person our staff turn to regarding IT resources and databases. I’m also responsible for our website and blog site and manage a team of undergraduate students who assist in our marketing and communications efforts. Emory has been using Inteum for two decades and I have been working with Inteum’s team since I joined Emory OTT 10 years ago. Technology Publisher was originally an Inteum invention, but over the years, Emory OTT has engaged in six Development Affiliated Programs (DAP) around adding functionality to Technology Publisher, and helped to shape the tool into what it is now. It is currently the core of our technology marketing effort. Technology publisher provides the ability to have your technologies displayed in our own custom web template. In our case this gave us the ability to mimic the Universities standard template. The portal also provides an RSS feed that allows you to syndicate your technologies to third party listing sites and extend our reach without any additional effort beyond the initial posting. The first DAP we did was the PDF utility. With that utility, we can easily select a number of technologies and generate a PDF in our custom template creating a technology catalog with a few clicks. It saves us an enormous amount of time and effort and provides a quick and easy way to generate custom catalogs on the fly. Two of our most recent DAPs were the technology subscribe feature and social media tagging for technology posts. We have branded the technology subscription feature TechFeed. This is a feature that allows people to self-subscribe to receive alerts to technologies of their particular interest on their schedule. This feature also has a custom email template for the alerts and a webpart that you can plug into any webpage. With that, we are no longer limited to passively listing the technologies on the webpage. Rather, we are actively pushing out relevant information to the interested parties. The social media DAP provided the ability to utilize additional posting options on social media platforms. For instance with Twitter it’s called a Twitter Card and this provides a way to extend your post beyond the 140 character limit and add a graphic. So we are able to provide additional information in a single post and have it look more visually appealing with graphics. We consider these DAPs as important tools in our marketing toolkit. One of the nice things about being in higher education is that the technology transfer offices are not true competitors. There are plenty of opportunities for us to share knowledge and best practices and have questions answered from other experienced Inteum users. For example, the Inteum User Group meetings are a great way to meet others and build those relationships. I have yet to return from a meeting without a handful of good ideas. My experience with the Inteum team has been great. They are a talented group of people who work hard to meet their customer’s needs. The DAP process has been very collaborative and fairly pain free and we would certainly do it again. I look forward to working with them for another ten years.